The Reserve Bank of India (RBI) permits banks to sell stressed assets to individual buyers by way of public auctions. 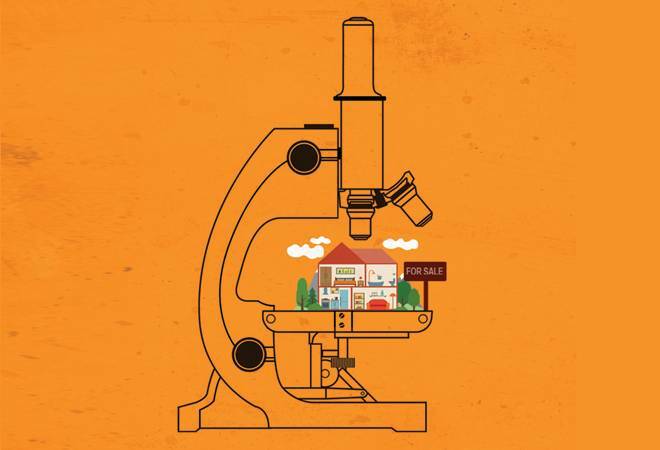 Whether you are scouting for an investment opportunity or a house to live in, a property bought at a lending institution auction can save you as much as 30% or more on the market value. As bank auctions involving foreclosed property are largely attended by investors and speculators, it is crucial for an individual buyer to tread carefully. Know what to expect: A stressed property is a repossessed property from a defaulting mortgage borrower. According to the Securitisation and Reconstruction of Financial Assets and Enforcement of Securities Interest (SARFAESI) Act, 2002, a lender can legally repossess and auction a mortgaged property in the event of multiple payment defaults. Since the primary purpose of the auction is to recoup outstanding loan amounts, such properties are frequently transacted at discounted value. But many auctioned properties have possession disputes with ongoing legal battles on ownership, long overdue bills, and could require substantial repairs. So the actual price of the property could be more than the final bid. Conduct property search: Less than 5% borrowers in India default on loans with collateral. Most prefer to refinance. So it is quite a task to unearth "preferred" stressed properties for auction. Assess your budget: You would be asked to pay about 10 per cent of the reserve price as Earnest Money Deposit (EMD) prior to the auction. If you lose the bid, the EMD is refunded; but if you win, you will have to pay at least 25 % of the bid amount on the auction day itself. These deals close on short notice, of, say, 15 days, and thus you would need to deposit the full amount either from your own funds, or loans, if required. If you fail to pay, you will lose the initial deposit too. Arrange funds: If you intend to avail a home loan, contact the auctioneering bank before the auction for an in-principle loan approval. As the public sale is intended to reduce the bank's liability, they would consider your application strictly based on your credit history and repayment capacity. The bank will sanction the loan with a condition that it needs the Property Registration Document prior to the loan disbursal. The property registration may take 10-15 days and so you will have to arrange the full amount on your own. The lender will disburse the loan only after verifying registry documents. You can certainly consider refinancing later on to reduce the interest rate. It is also important to note here that the loan to buy a stressed property is purely a "home loan" and the bank sanctions the loan amount only for purchase of property. Ancillary dues in such transactions could be substantial and thus need to be separately settled by the seller or buyer. Obtain a property appraisal: Lending institutions sell stressed properties on a clause of 'as is where is'. While the bank already sets the base value for auction considering the government's guidance value, market value and current liabilities, avail a second opinion. Contact a professional valuer, who should ideally be familiar with foreclosures. However, by no means, can you pre-assess the final bid amount. It is advisable to have 10% safety margin on the valuation given by the valuer. a) Examine the original sale deed and use Central Registry of Securitisation Asset Reconstruction and Security Interest (CERSAI) records to ensure that the property is free from other bank liabilities or loans. Since it is difficult to obtain details of outstanding liabilities for unregistered properties, consider only registered properties. b) Carefully read the bid document to learn about the legal title and responsibility for pending dues. This will help you gauge the exact liability on the property. c) By auctioning the property, the bank doesn't turn into the owner. Get the title ownership duly investigated and confirmed by a lawyer. This may add to the cost, but will clarify ownership. d) Enquire if the lender has obtained a Recovery Certificate from the Debt Recovery Tribunal (DRT) before proceeding with the property auction. e) The bank must issue an Indemnity Certificate to protect you from risk of future claims by the owner. If possible, ask the owner to become the confirming party for the transaction. f) Where applicable, the lender should procure a No Objection Certificate (NOC) from the relevant housing society. Assess the status of previous utility bills, pending litigation and other statutory dues. g) When you buy a property worth more than `50 lakh, you are required to deduct 1% tax at source, i.e, credit TDS to PAN of original owner. Ask the bank to treat the TDS as a part of purchase. h) To protect yourself against the seller backing out of the transaction, request inclusion of an appropriate penalty clause. Purchasing a stressed property requires patience and perseverance in terms of the necessary diligence. Follow through with the above check-list and you will be rewarded with one of the most gratifying and fulfilling financial decisions of your life.